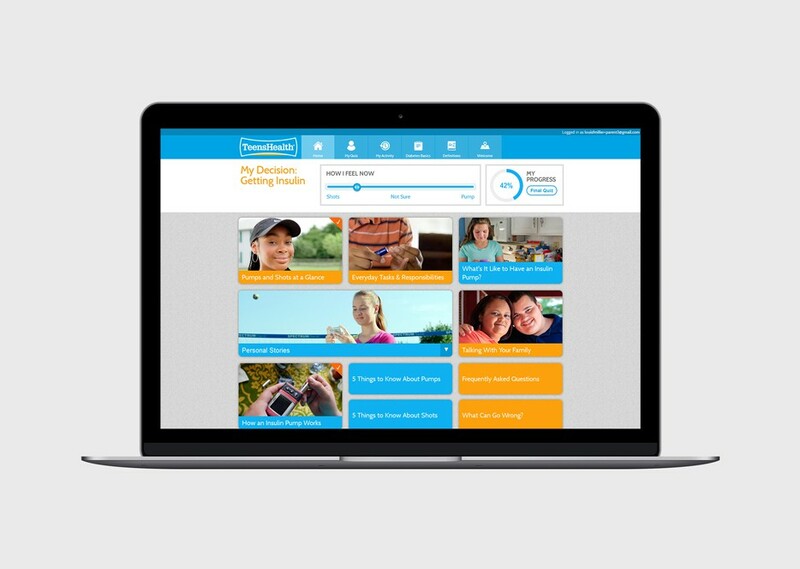 By partnering with eCity, Nemours and KidsHealth developed a decision-aid web tool that helps young patients choose the best option for managing their diabetes. These users become empowered to make better health decisions and reduce avoidable trips to the emergency room to treat hypoglycemia or hyperglycemia. Nemours Hospital was founded by Alfred duPont to improve the lives of children and do whatever it takes to prevent and treat the most disabling childhood conditions. Its subsidiary, KidsHealth, is the most-visited site on the Web for information about health, behavior, and development from before birth through the teen years. Patients with Type 1 diabetes have to make several choices about the best way to monitor and treat their condition. For some people, switching from insulin shots to insulin pumps or adding a continuous glucose monitor (CGM) can be a great way to streamline treatment and ensure a consistent level of insulin and glucose. However, CGMs and insulin pumps aren’t for everyone — depending on your lifestyle, these devices may not be the best choice. 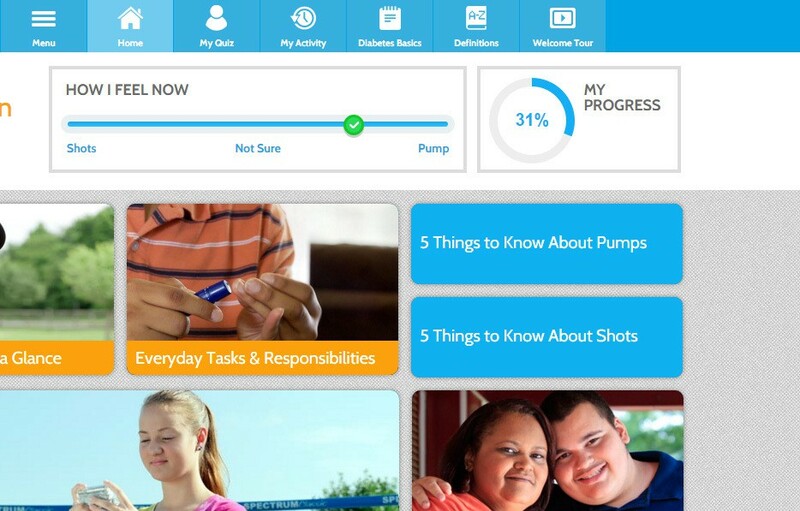 Nemours and KidsHealth wanted an application that would help teens with type 1 diabetes make the choice whether or not an insulin pump or CGM was a good choice for them, and educate them about the risks, benefits, and lifestyle adjustments that moving to insulin pumps and CGMs require. We started by talking with doctors and pediatric health experts to understand the decision-making process and health concerns involved when it comes to transitioning from insulin shots to one of these devices. After understanding the tradeoffs and concerns, eCity built and tested prototypes of variations of the site and tested them with actual pediatric patients with type 1 diabetes as well as their parents. 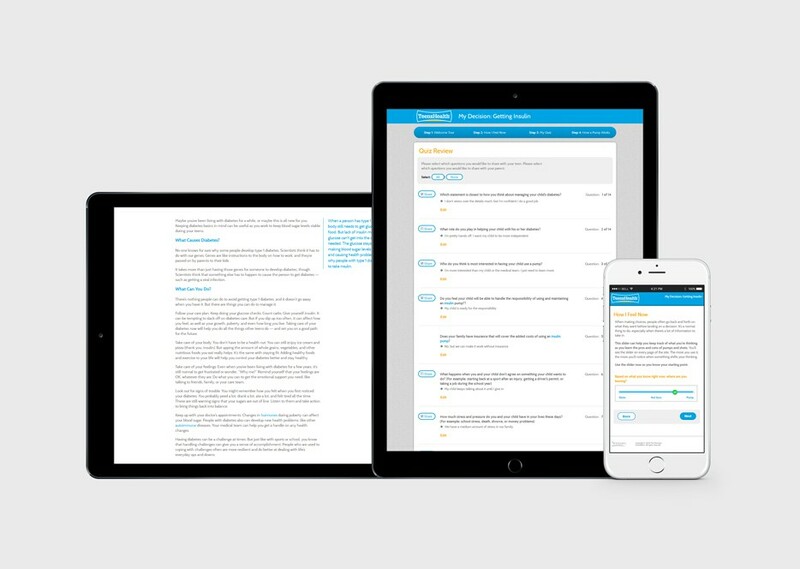 Their feedback was folded into the websites we designed and developed to not only educate, but bring all involved parties together to reach the best health decision for the patient. The sites are part of a study to see if patients who go through a decision-aid site like this end up making decisions that lead to better long-term health. Using advanced tracking methodologies, the sites track how each piece of content affects the decision-making process for each party. This information will help future generations make better health decisions.